Following trends is expensive. When you go to the most obvious vacation destinations like the beaches of Long Island Sound or the coasts of Florida, crowds are big and demand is high, which means the prices are high, too. But when you visit a spot like Hampton Beach, New Hampshire, you can experience the same quality you’d find at a more famous resort while paying a fraction of the cost. 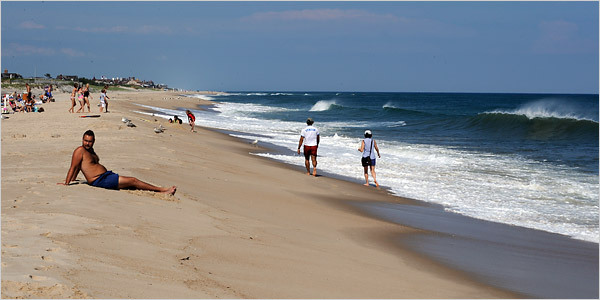 So to experience a lush vacation on a tight budget, read on and see what Hampton Beach has to offer. When cold weather blows in, all the vacationers head south to places like Miami and Los Angeles. And it’s true enough that New England’s winter waters are too cold to swim in. But then you don’t need to swim in the ocean to have a good time on your vacation. Hampton and Hampton Beach host a full range of places to stay, from motels to four-star hotels, and all their nightly rates get even more reasonable whether you decide to spend a weekend or a full week in town. HotelPlanner can point you to a Hampton Beach hotel with a whole lot of pampering, a full suite, and a private ocean-view balcony, such as Ashworth by the Sea or Atlantic Breeze Suites, and all for a bargain. You have to be careful about your budget when you put a casino on the itinerary, but for an exciting evening, there’s no place lusher. Ocean Gaming is a restaurant and casino that sits right across from the beach, and it comes alive when the sun sets. Ocean Gaming has all the usual suspects like craps, poker, roulette, and bingo, plus it has slot machines and video gambling machines. It also offers basic beach food whether you care to gamble or not, and it’s open year round so you can enjoy the hospitality even on a winter vacation. None of the resorts or hotels on Hampton Beach host spas, but you can find plenty of spas and salons along U.S. Route 1. At a place like Spectra Salon and Spa, you can spend a few minutes getting your nails done or your hair styled, or you can spend all day getting full-body treatments and massages at a reasonable price. There are a few good places to get a drink and some decent food together in Hampton Beach, but The Goat is one of the best. Located in an old three-story house, The Goat offers a good variety of burgers and sandwiches, plus it has beers, whiskies, and make-your-own bloody Marys on the menu. Having a great, lush vacation on a budget isn’t impossible, and if you do a little planning, it isn’t even very hard. So if you want to live like your budget was twice as big, head over to Hampton Beach and start enjoying the luxury hotels, casinos, spas, and taverns the town has to offer.